​​​ AUSTIN – The nearly 1 million-sf corporate campus at 7700 W. Parmer Lane is close to having another 800,000 sf of office space. 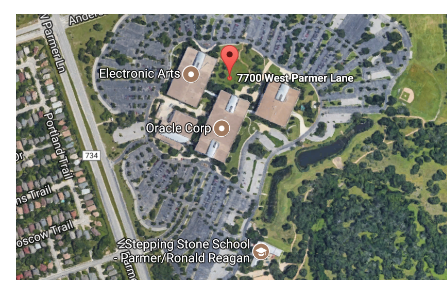 The 995,000-sf campus, known as 7700 Parmer, hosts a variety of A-List business tenants, such as Oracle Corp., e-Bay, Electronic Arts, Deloitte, PayPal and Polycom. The proposal to add another 800,000 sf of office space is to give current tenants the opportunity to expand their Northwest Austin operations. The project would be conducted in two phases. The first phase—to meet the current need—will see the construction of two 200,000-sf office buildings on what is now a parking lot for the campus. The market will dictate the timing of the 400,000-sf second phase. According to the application, it is estimated that the campus will be built out to its full 1.8 million sf by 2025.